and editor was happy to receive it! Found my name on a blog called NailPolishLife? Ah! It's one of the kids from the University of Michigan Yuri Kochiyama APIA High School Leadership Program! So relieved to find I wasn't as scattered as I thought. And cute nails! Thanks Rosa. Her blog is http://www.franceskaihwawang.blogspot.com, it’s all pretty fascinating. 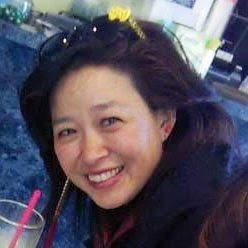 And being Asian-American myself, I could really relate to stuff she said. Example: She mentioned how Asians take off their shoes when inside and others don’t. Speaking today at the University of Michigan Yuri Kochiyama APIA High School Leadership Program. I love those kids! hey, Fred Korematsu Day in Michigan is in Rafu Shimpo! how did i miss this? Great photos. The Adoption Parenting Toolbox, to which I contributed two chapters, has a new Facebook page! Read my two chapters, "Preparing your child for racism" and "The Scarlet Letter Experiment." Over 100 contributors came together to create Adoption Parenting. This top of the nightstand resource is a reference tool for pre and post adoptive families. It's "What to Expect" for adoptive parents. For U.S. companies, this has nothing to do with political correctness or window-dressing, and everything to do with business survival. A growing body of recent research shows that global business diversity clearly pays. A McKinsey & Company study of 180 companies from 2008 to 2010 found that businesses with more women and foreign executives boasted a 53 percent higher return on equity than rivals. Second Chapbook is done! 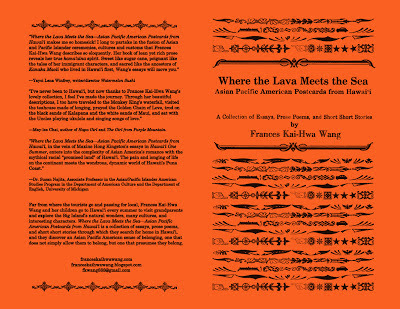 "Where the Lava Meets the Sea--Asian Pacific American Postcards from Hawaii"
Much love to my Virtual BFFs and my IRL BFFs too! Second Chapbook is done! 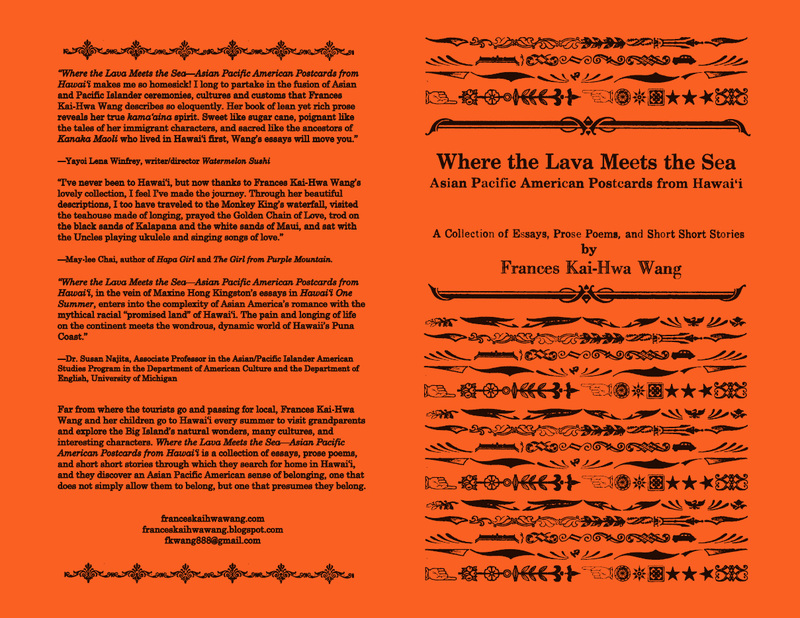 "Where the Lava Meets the Sea--Asian Pacific American Postcards from Hawaii"--essays, prose poems, short short stories, and you! Wearing my editor hat today. From my friend Jyoti Omi Chowdhury on the Shahbagh Protests going on in Bangladesh right now, in bdnews24.com. Tonight! 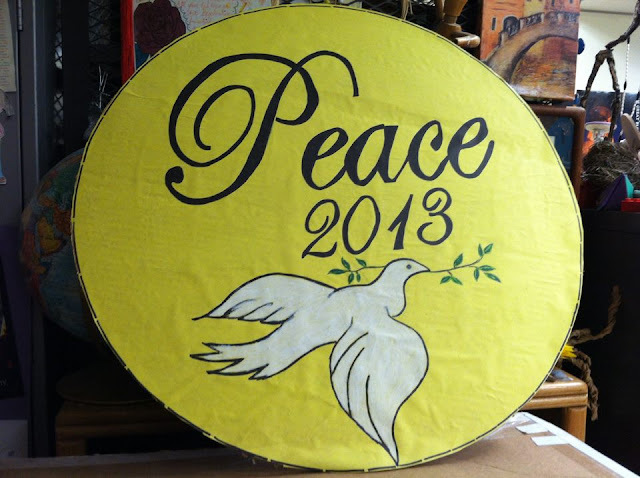 487 children, 28 performances, 29 countries and cultures, all on and off stage in an hour and a half! oh, and 1000 people for dinner, and educational activities, too. We are so awesome! Thanks everyone for being a part! This is going to be fun! Hey, that's my lion dance team! who posted that picture? Article by Tom Watkins. It's not a trip to LA Little Tokyo without ramens! Daikokuya is still the classic, but Shin-Sen-Gumi is great for style.